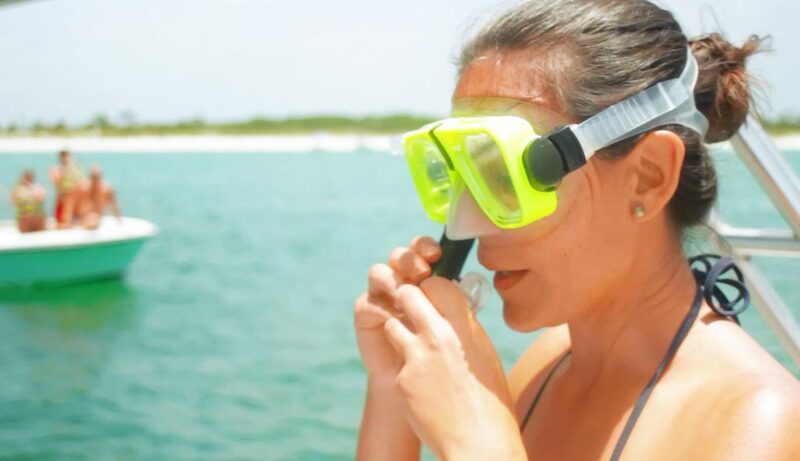 Panama City Beach Snorkeling: Snorkeling is a popular past-time here in Panama City Beach. 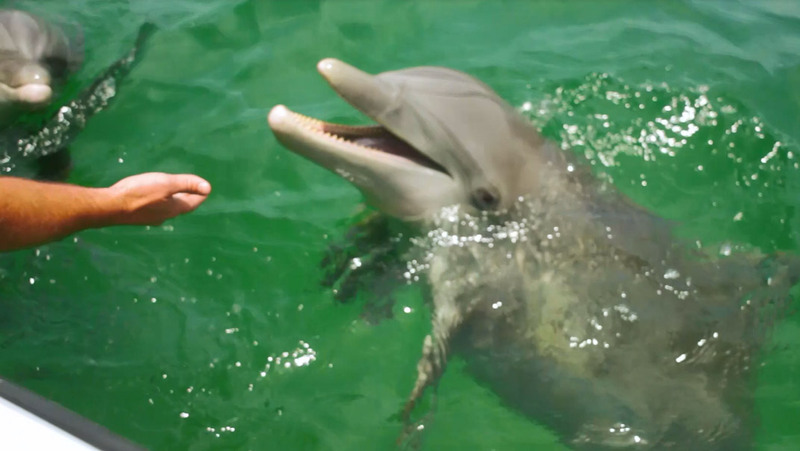 The emerald green water is so beautiful and there is much wild-life to see, beyond our friendly dolphins. The Flippers captains can direct you to the best snorkel spots around Shell Island. If you are interested in a guided snorkel trip, contact us and we can set you up! Simply put, an amazing underwater adventure you and your family will love. Snorkeling is also safe and Flippers follows all snorkeling safety guidelines so you and your family can enjoy the beautiful clear emerald green waters. Our guests always say how surprised they are to discover the underwater life and beauty that is found. Our guides are trained and experienced and will educate you on how to have a safe and enjoyable snorkeling trip. What will you see? Expect to see dolphins, tropical fish, corals, crabs and rays, sand dollars and even star fish. You may look and enjoy all you like, but we ask you do not take anything that you find. Your Snorkel Trip: Expect a small private trip with no more than 12 persons per boat, so we can give you a more exclusive tour.